Heraklion is the capital and the largest city of Crete and is considered as a major urban centre. Its growth was known since the ancient years as Knossos was a major cultural and commercial point. In the later years Crete was under Arabic Venetian and Ottoman rule and the influences that derive from the conquerors are apparent all over the city. The city of Heraklion has changed radically in the last few years it is complete reformed and promises to surprise the visitor. 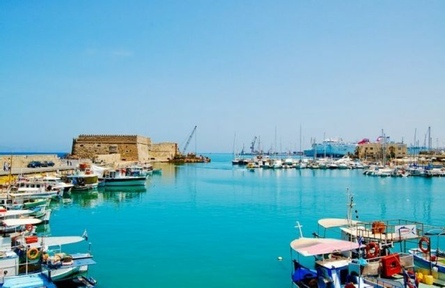 The city of Heraklion is full of fascinating history and you for starters definitely need a reliable vehicle on your side. We are certain that we have exactly what you need whether you are here for a professional obligation or simply for vacation you will not find a better solution than Van hire. Booking a minivan only takes a few minutes just visit our webpage www.vanrental24.com and let the journey begin. Among the fascinating sights are the fortification wall which demarcate the old city. From the four gates to the city, only Chanioporta (1570) with the characteristic winged Lion of Saint Marc and the New Gate (1587) at the southern side survive today. 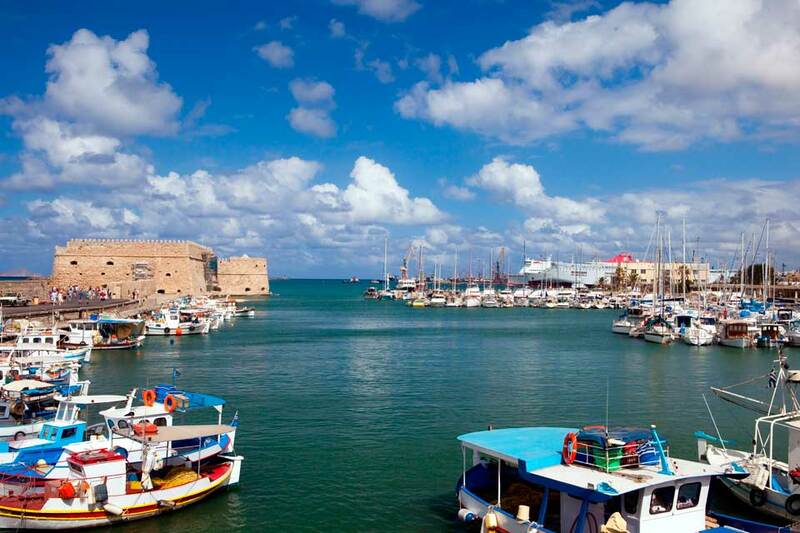 Visiting Heraklion already presupposes that you are ready for a lot of walking and sightseeing. A characteristic garnish of the city are the venetian and Turkish fountains, The most famous one is the Venetian-style Μorozinifountain, also known as the Lions (1628), a landmark that one must not neglect to see. Two more stops are of great importance and with your minivan rentals time reduces significantly. The Metropolis of Mikros Agios Minas and on the north side Agia Aikaterini that was converted into a museum with treasures for the renascence. For food lovers and for those who appreciate the local color of a city the Market of Heraklion will become their favorite spot. There you can find local products such as the famous Cretan olive oil, honey, cheese raki and a variety of wines. Carry on to Archeological museum one of the most important museums of Crete which contains exhibits of the Minoan Civilization. You should not wonder which the next sight is going to be your 12 seat minivan rentals is going to take you there practically by itself 5 km southeast of Heraklion lies imposing the legendary Knossos the center of Minoan civilization. Knossos contains the remains of the palace of Minos, of dwellings occupied by officials, priests and residents, as well as of cemeteries. The palace of Knossos was destroyed by Santorini’s earthquake. In Heraklion the heart of many conferences beats especially medical. Many professionals and scientists visit Crete for professional reasons. These people have a different prospective of the city they normally have very little time but with van hire they can combine both business and pleasure. A minivan can be easily converted into a small office, so instead of these people staying between two walls the can take advantage of the little time they have and explore together with their partners this beautiful city. Van rentals cover the contemporary needs of a modern professional who wishes constantly to be updated no matter where he is. Being stacked at the office is no longer a barrier. Lay back and enjoy what this city has to offer many dances and Cretan music festival are organized regularly so don’t miss the chance to attend.